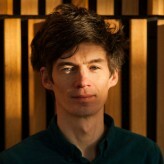 Leo Scarff is a product designer, design lecturer, consultant and exhibition curator originally from Dublin but now based in Manorhamilton, Co.Leitrim. Leo set up his design studio in 1997 and has also lectured extensively in creative practice, product design and design history since 1999. 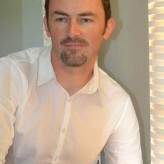 Gordon has run 'Applied Sense' since 2007 - a Design and Architecture company now based in Norway. His philosophy of design, is based on careful attention to function, and a pragmatic study of user patterns. His domestic designs have appeared in the Sunday Times Magazine, Image Interiors, Construct Ireland Magazine, as well as a range of international design blogs. Since moving to Oslo, Applied Sense has been focusing on Office Design Projects, as well as high-end interior design clients, which includes regular bespoke furniture design commissions. Gordon recently worked with Hiberform's Leo Scarff, to design a new range of office furniture.